Scrape cheese and dice it. Rinse and chop small chives. In a bowl blend cheese, small chives, walnut oil, salt and pepper. Cover and set aside for at least 30 mn. Cut the fig’s hard part on top and slice it. 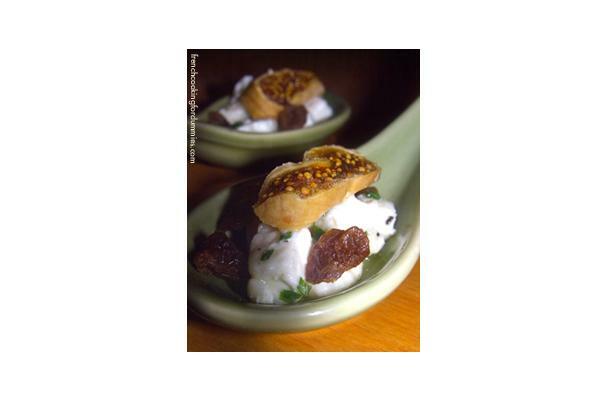 Fill spoons with cheese and top with raisins and dried fig slices.